Central Co-op Principle #8 is Concern for Ecosystems. Recognizing our dependence on the Earth’s natural systems and resources, we respect animal habitats, human habitats, and the Earth’s biological and physical equilibrium in the course of our activity as a cooperative. Central Co-op is proud to be promoting renewable energy and affordable housing through our sponsorship of the Capitol Hill Community Solar Project! In 2015, Seattle City Light teamed up with affordable housing provider Capitol Hill Housing (CHH) to build a 25kW solar array atop the Holiday Apartments, a CHH property at 10th and John. This array is the second largest on Capitol Hill and the first community solar project atop affordable housing in the nation. The investment of Solar Sponsors like the Co-op made this project possible, and the array will revert to CHH when the investments are repaid. The Capitol Hill Solar Project is part of the Capitol Hill EcoDistrict, a community-driven effort that promotes a socially equitable, environmentally resilient and culturally vibrant neighborhood. In 2015, after months of effort by The Common Acre and Central Co-op, the City Council proclaimed Seattle to be a Bee City USA. Seattle is now the largest Bee City USA! 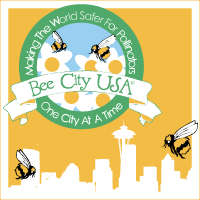 Bee City USA status commits Seattle to carry out internal and public education about the importance of pollinators, and to habitat restoration and conservation efforts to support these keystone ecological and agricultural species. The successful Seattle Bee City initiative was supported by a broad coalition of endorsing organizations, representing tens of thousands of constituents. Central Co-op is always looking for ways to reduce our negative environmental impact through the way we operate our stores. In 2016, we made a few large-scale investments in equipment and worked to identify smaller changes in practice that we can make to reduce our footprint. 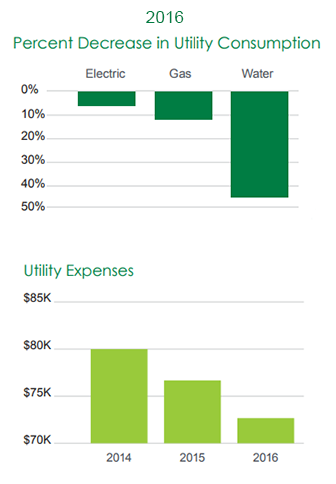 We reduced our water use at our Seattle location by 13% from 2015 to 2016, mostly due to the installation of low-flow toilets in our restrooms. We made improvements to maintenance practices of our refrigeration equipment which reduced the leak rate of our coolant by over two thirds. The coolant used in our refrigeration systems is a powerful greenhouse gas, which has no negative impact as long as it stays inside the system. In 2017, we replaced the light bulbs in the store and reaped a 9.5% decrease in our electricity usage. Our operations staff will continue to implement improvements in our practices with the goal of making the Co-op as environmentally friendly as possible! 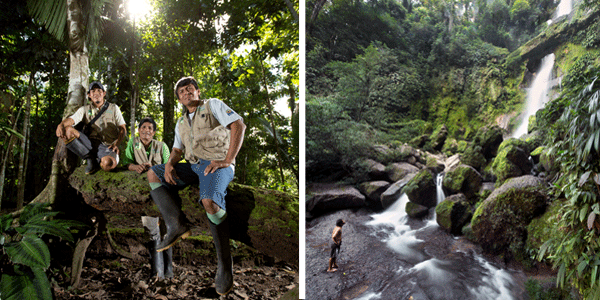 Central Co-op offsetts all of the of carbon emissions from our use of natural gas by preserving 132 hectares of rainforest in one of the most bio-diverse regions of the world! That’s up to 326,000 trees soaking up 66 metric tons of carbon. Central Co-op has joined with the other members of National Co+op Grocers (NCG) in a carbon offset program called “Co+op Forest.” Co+op Forest preserves and restores rainforest by helping farmer co-ops in the Amazon develop their communities through sustainable agroforestry. The Co+op Forest is in the San Martin BioCorridor, now a registered UNESCO Biosphere Reserve because of its precious old growth rainforest. Damaged in the 1980s and 90s by coca production for the drug trade, the forest is now at risk for petroleum exploration and illegal hunting and fishing. Preserving the forest not only sequesters carbon, it preserves the habitat of many rare plants and animals that make the forest their home. Doing the hands-on work of preserving the Co+op Forest are coffee and cocoa farmers who have organized themselves as co-ops to strengthen their communities. These communities are at the core of project design, decision-making and implementation of activities. They patrol the forests to protect them from poachers and find new ways to create income while preserving the forest, like collecting medicinal plants and raising their cocoa under the forest canopy. To create this program, NCG worked with the PUR Project, an offshoot of the fair trade food company Alter Eco, whose chocolate bars you can find in our aisles. Central Co-op motivated to participate in Co+op Forest by two of our principles: #6 Cooperation Among Cooperatives and #8 Concern for Ecosystems. We are thrilled to be working with NCG, PUR Project and the communities of the San Martin BioCorridor in this innovative and important work!